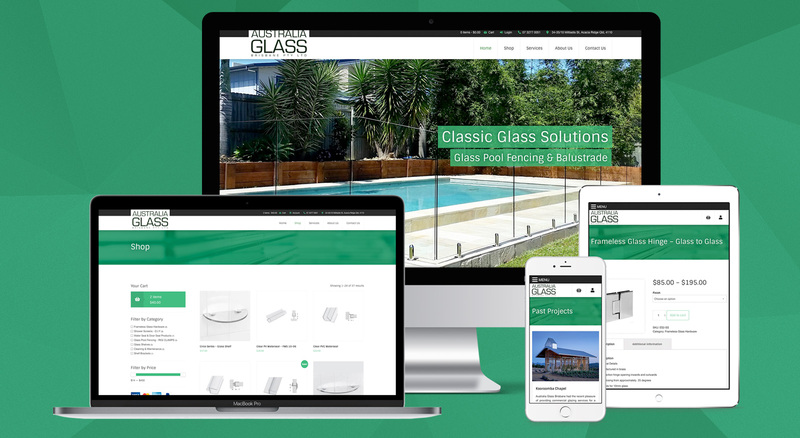 OnePoint recently had the pleasure of developing a new website for Brisbane’s most reputable glaziers Australia Glass Brisbane. We worked closely with Australia Glass Brisbane to create a stunning eCommerce website to showcase services and sell accessory products. The hands on-approach allowed a collaborative effort from both OnePoint and Australia Glass. This resulted in a clean, profession and intuitive website. We provided custom WordPress template development to build a bespoke theme from scratch. We used Bootstrap 4 as the framework behind this custom theme and the fluid layout provides seamless responsive design across desktop, tablet and mobile devices. The online shop feature includes PayPal integration with WooCommerce and Transdirect for shipping. Slideshow and gallery management tools have also been integrated and are a great way for Australia Glass to showcase their past projects. Whether you’re looking to upgrade your kitchen, your bathroom or even install a glass fence around your pool, contact Australia Glass Brisbane for a great price. If you’re looking to upgrade your website, contact our website designers today on 07 3444 0045 or request a free quote here.